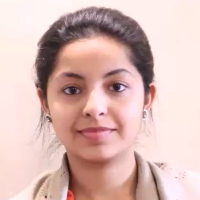 Priyamvada completed her schooling from Vasant Valley School, Delhi. Then she went on to do her Bachelors and Masters from the University of Pennsylvania. She is currently working in the capacity of an HR Manager at SEMAC Consultants. Human Resource Management (HRM) is the term used to describe formal systems devised for the management of people within an organization." "After completing my Schooling from Vasant Valley School, I attended the University of Pennsylvaina for my bachelors in Psychology and Art History. After that I started working for SEMAC Consultants in the capacity of an HR Manager."